I've been listening to a lot of All Time Low in the past week, and one of my favourites that I put on over and over is 'Oh Calamity!' 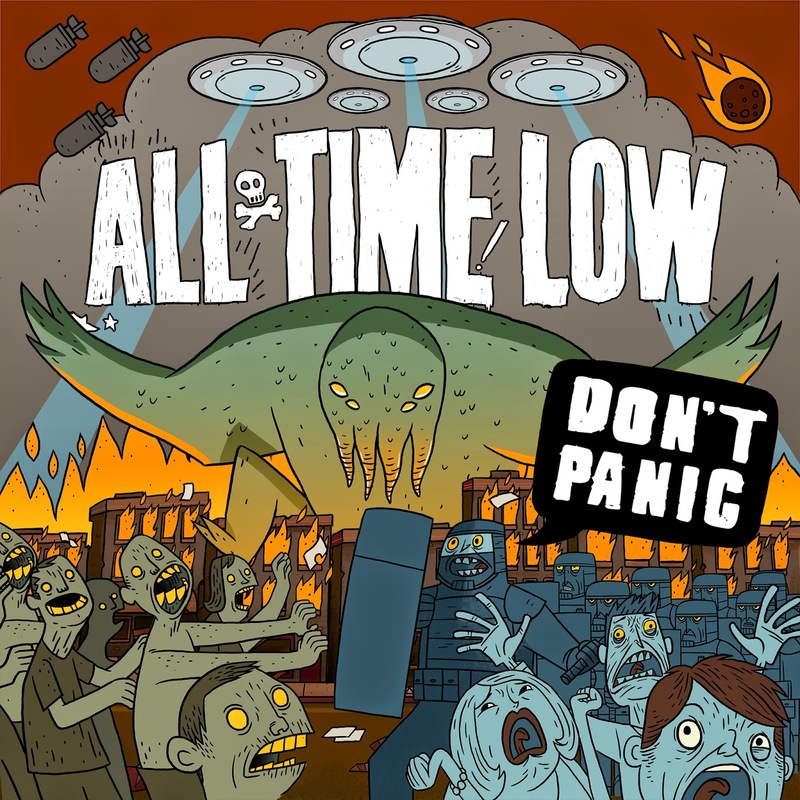 The song was released on the album 'Don't Panic' in 2013 and it's a really instrumentally strong ballad. I really like rock ballads, because as much as I like to hear songs stripped back to few instruments, the use of a big texture of sounds means that you can really feel the message of the lyrics through the other sounds. Don't get me wrong, I do feel that a lot of artists go about this slightly wrong and end up with lyrics and instrumentation that really don't match, but in this case, ATL have gotten the balance just right. Essentially the lyrics depict the separation of two people through time, to the extent that the speaker feels unsure as to whether the other person would even recognise them now, or if they would actually want to recognise them and pay attention to them in passing. I think this is something that everyone can relate to, as over time, we all lose contact with people, whether we mean to or not; it's just something that happens. And sometimes you want it to happen, because maybe you didn't like them that much anyway, but in other instances, you really wanted to stay friends or stay close, but it just didn't happen. 'It's such a shame that we play strangers' bears the suggestion that the other person will walk past them on the street without even acknowledging them, as though there's no history and they've never met, when really they remember it all. It's a very sad song when you really take in the lyrics, but luckily the instrumentation, particularly through the electric guitar, manage to keep it from feeling 'too' sad if that makes sense, and I really love the lead guitar in this; it's a very active part of the song but not too much for such a ballad. There are some sad ballads that I really struggle to listen to because they make me feel that sad, but this one's manageable through factors other than the lyrics. I love this song and band, and I hope other people like it/them too.